The next Star Wars movie, episode IX, will be titled The Rise of Skywalker, it has been announced. Director JJ Abrams said the movie is set some time after previous instalment The Last Jedi. The Rise of Skywalker is due to be released later this year. Despite his apparent death at the end of Episode VI, Return of the Jedi, Emperor Palpatine seems to be making a comeback. His sinister cackle is heard at the end of the trailer and Ian McDiarmid, who plays the character, strolled on stage to loud applause at the announcement. The two-minute trailer, the first footage seen from the new film, also features a brief glimpse of Princess Leia, played by the late Carrie Fisher. Fisher died in 2016 but the filmmakers were able to use previously unseen footage from The Force Awakens. Abrams told a US “Star Wars Celebration” event in Chicago it was a “weird miracle” to be able to continue Princess Leia’s story. “Every day it hits me that she’s not here, but it’s so surreal because we’re working with her still,” he said. 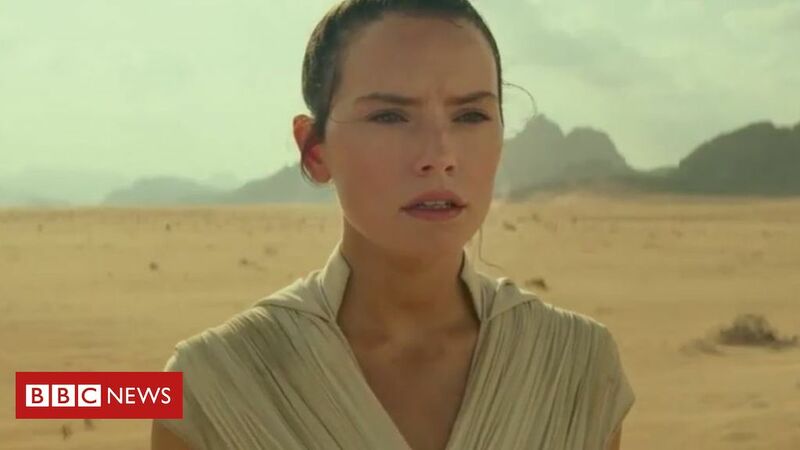 The Rise of Skywalker is the third episode of the third set of Star Wars films, which were started by filmmaker George Lucas in 1977. Kathleen Kennedy, the president of Lucasfilm – a subsidiary of Disney that makes the Star Wars films – agreed with the event’s panel host Stephen Colbert it was “unprecedented” to tell a story in a nine-film arc. “What’s also fascinating is it’s over 40 years,” she told the event. “To keep this relevant and meaningful to the characters and to the people experiencing this story, it has to feel like its of its time. Fans welcomed the reappearance of Lando Calrissian, played by Billy Dee Williams, who is seen piloting the Millennium Falcon. The movie also features the return of John Boyega as Finn, and Oscar Isaac’s Poe Dameron. She activates her lightsaber as a TIE fighter bears down on her, flying close to the ground. As it reaches her, she backflips over it. Then we see Kylo Ren, played by Adam Driver, slicing through enemies in a blood-red forest. Heroes including C-3PO are seen being chased across the desert planet in a low-flying craft before the trailer cuts to the shot of Rey hugging Leia. Then we see Rey, Finn, Poe, C-3PO, BB-8 and Chewbacca walking to the edge of a cliff by the sea. Across the water appears to be the wreckage of a Death Star. The film is due to be released on 20 December.